We are changing lives through cycling. Tulsa Hub exists to help our neighbors achieve mobility - on the street and in society. A.C.E. is our signature Adult Earn-A-Bike Program. The only program of its kind in the state of Oklahoma, A.C.E. has helped over 800 adults gain reliable transportation, human powered. We provide 1000+ additional low-or-no-cost repair services annually for our ACE and low-income riders. Our program serves people experiencing homelessness and chronic or temporary financial distress who lack reliable transportation. Participants earn a bicycle, lock, and helmet through attending two classes -- bike maintenance and riding safety. Because we value time and talent (skills) as much as treasure (money), people may perform work-trade hours if they are unable to pay for program costs. 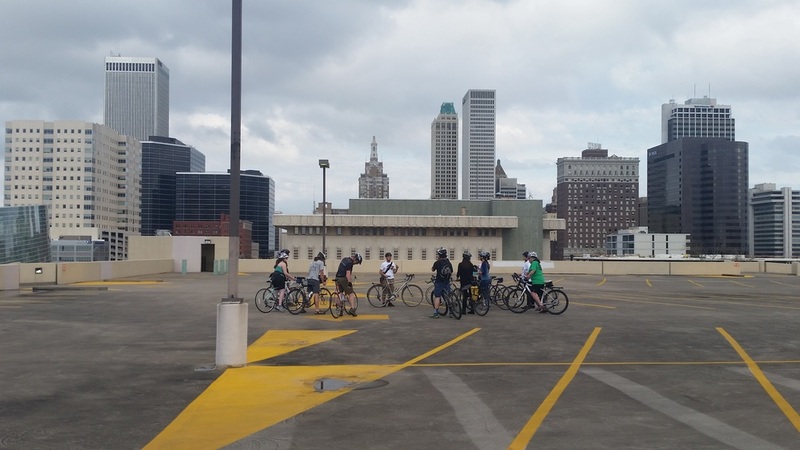 Work with 7th and 8th graders at Tulsa School of Arts and sciences each day through our ABLE (Adolescent Bicyclists as Leaders Education) Program, exploring leadership and community engagement through the lens of bicycling. Host our Leaders On Bikes Summer Learning Academy in June each year for students entering 7th - 12th grade. The camp explores themes of identity, power, boundaries, and community engagement through the symbol of the bicycle. Host an integrated internship program serving youth living in at-risk situations. We have hosted 5 high-school students who have learned bicycle mechanic skills in our shop.